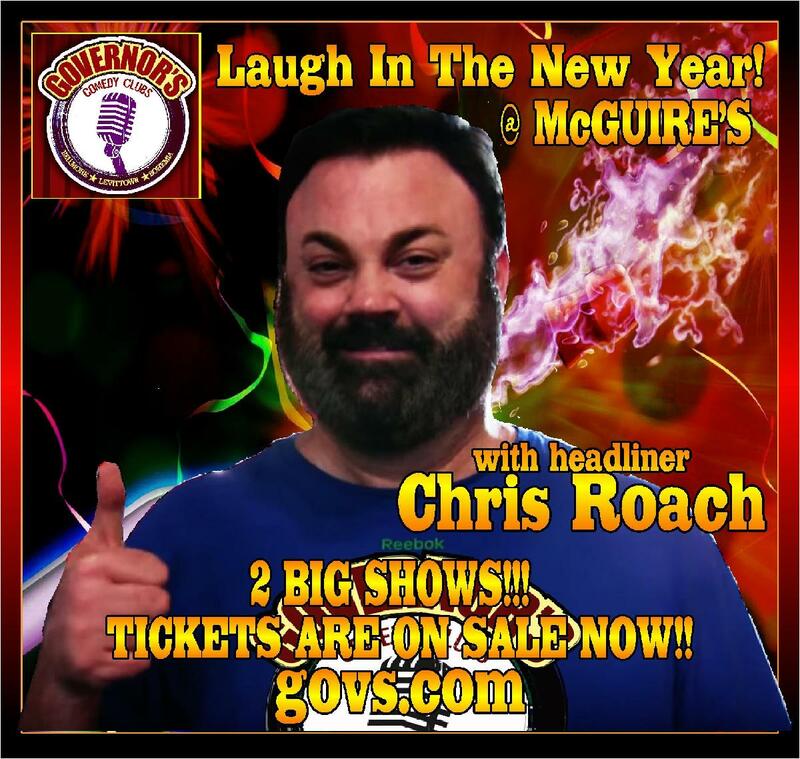 LAUGH IN THE NEW YEAR WITH ONE OF OUR FAVORITE COMEDIANS - CHRIS ROACH ! 2 SHOWS - 7:00, AND OUR 10:15 SHOW WHICH INCLUDES A CHAMPAGNE TOAST AT MIDNIGHT. PRE-SHOW DINNER PACKAGE WITH VIP SEATING IS AVAILABLE FOR BOTH SHOWS. NOTE DINNER SEATING OPENS 5:00 FOR 7:00 SHOW, AND 9:30 PM FOR 10:15 SHOW. FOOD SELECTIONS ARE ALSO AVAILABLE FROM OUR EXTENSIVE PUB-STYLE MENU. Chris Roach best known for his major recurring role of Mott in KEVIN CAN WAIT and has also appeared in numerous other episodics, both comedies and dramas. He also created the viral video ode to his beloved hometown RONKOKOMO which has nearly two million views across all platforms. Chris is a fast-rising Comedian/Actor born and raised in New York. He has brought his unique and self-deprecating sense of humor to some of the biggest and best known stages such as The Borgata in Atlantic City.